Taking inspiration from 'How To Lose A Guy in 10 Days' when women are 'frosting' themselves with diamonds I thought on an everyday non diamond wearing basis, highlighting is pretty much the same...right!? 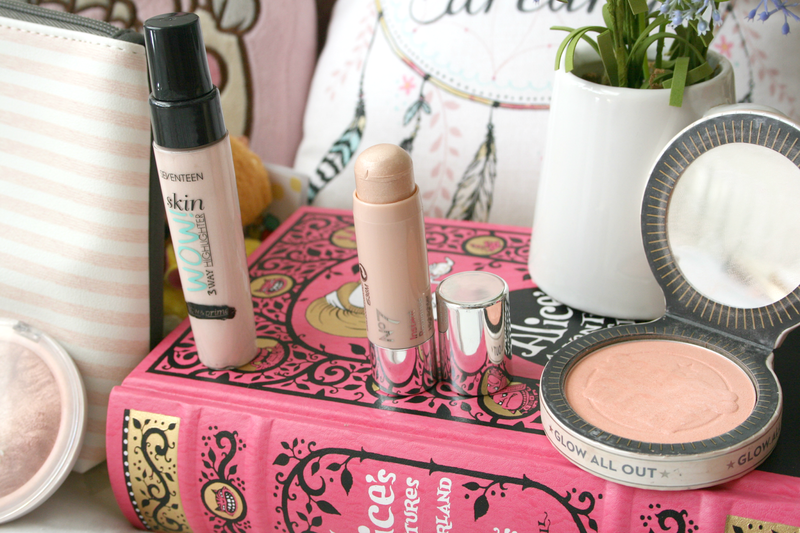 Well I've rounded up some of my favourite highlighters to give you that frosted glow everyone loves. After all theres no such thing as too much highlighter! 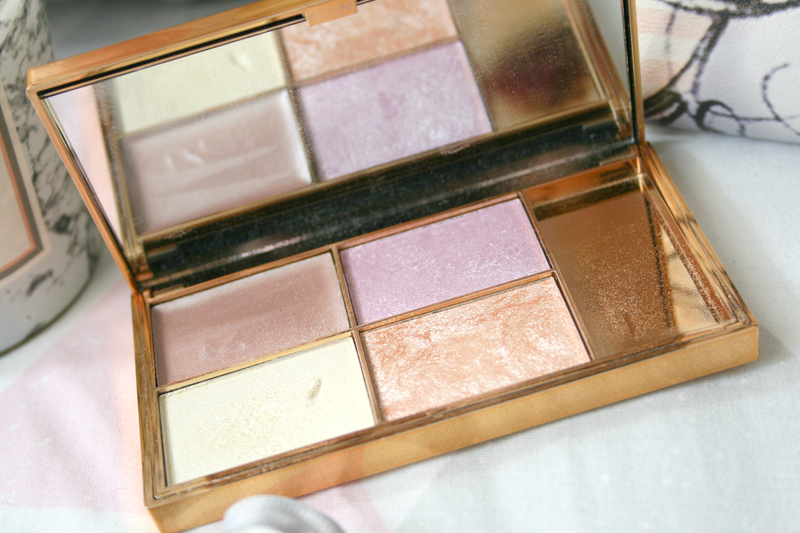 Currently every bloggers favourite highlighting palette, and I totally understand why! 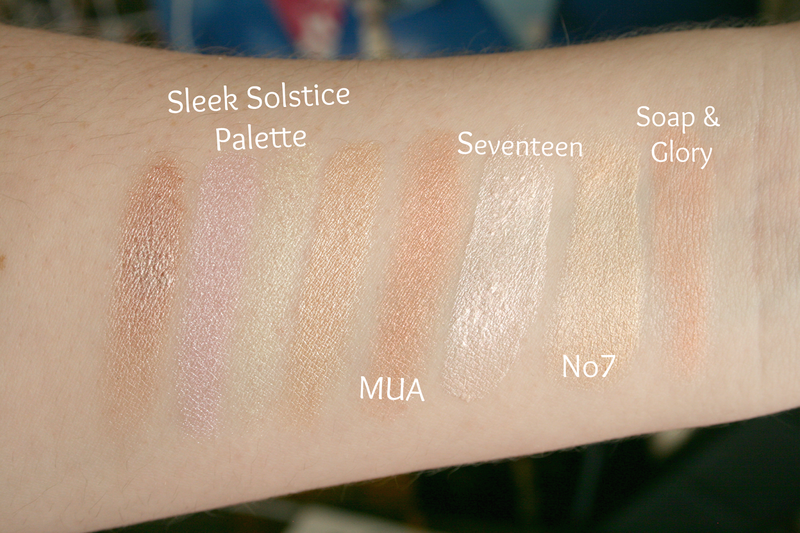 Consisting of 1 cream highlight and 3 powder highlights you really cannot go wrong with this little palette. Consisting of different colour highlights, some you wouldn't of even thought would work but they do. I absolutely adore this palette and for it's €14.49 price tag it's definitely something worth having in your collection. The outer packaging is a mirrored gold colour which is something a little new for Sleek compared to it's classic matte black packaging. Something I never thought I'd love but I ended up adoring. Sometimes when a product isn't very expensive you'd not expect it to blow you away like this did me! It's one of the most gorgeous pale pink highlighters I've ever owned, and it's so sparkly on the skin I just want to bathe my face in it. When it catches the light it gives off the slightest pinky colour but while still looking absolutely stunning and the colour isn't too over powering which I love. 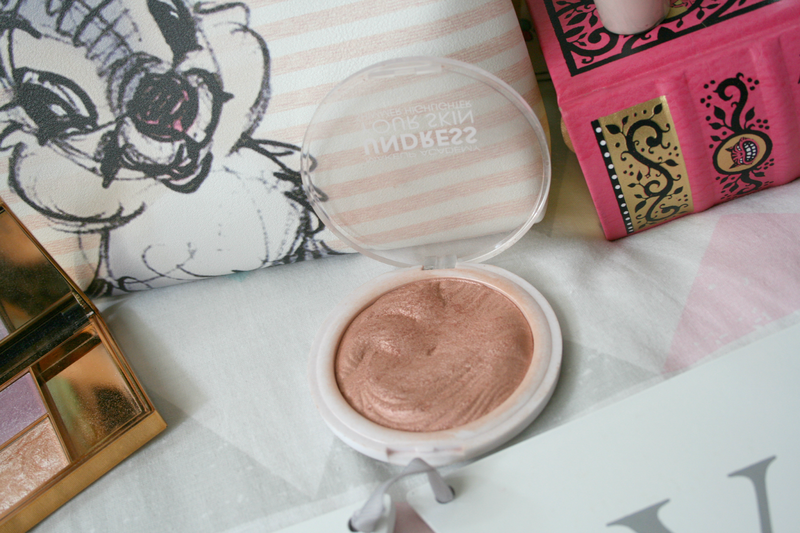 For £3 it's definitely a bargain and such a dark horse in my highlighter collection! One of the only liquid highlighters I use and love! It has a gorgeous pearl pink shimmer to it and it looks absolutely amazing on the cheek bones. As it's a liquid you only need a tiny amount as a little goes along way. You can also use this as a primer before applying your foundation for that gorgeous healthy glow, mix it in with your foundation for that dewy look or just as a simple highlighter. I love products that you can use multiple ways, as you get to experiment with them to see what works for you. I actually have 3 of these in my collection at the moment, because for only €8.49 it's something well worth having multiple bottles of! One of the very few chubby sticks I own. The No7 Highlighter is in stick form and to apply it you can simply swirl your finger in the cream product and tap it onto your cheekbones. I was obsessed with this for 4 months straight, it was all I would wear because it's just such a gorgeous highlight. A champagne opalescent pink shade you really cannot go wrong with it. Literally I would apply this everywhere, my brow bone, cheek bones, cupids bow and sometimes even in the middle of my eyelid and at my tear duct. Thats just how gorgeous the shade is. Again it'll set you back €14 but sometimes Boots has No7 coupons meaning you would get it cheaper! Another pinky shade highlighter but just not as intense as the MUA Pink Shimmer. The Soap and Glory highlighter is for those who don't like a lot of shimmer on there face, this highlight gives you that glow without all the sparkle. It's such a lovely shade and when on the skin it just gives the most gorgeous glow. 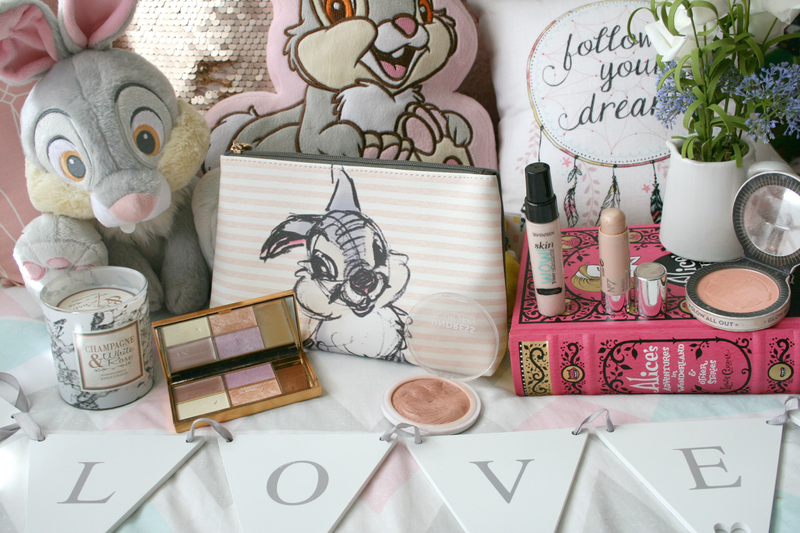 It also helps that the packaging is super pretty as is every Soap and Glory product. This one's a little more on the pricey side at €15.00 but if your looking for something to aluminise your skin, this is definitely for you. Highlighting is one of my favourite parts of doing my makeup, and with all these beauties it's always a hard decision trying to figure out which one I want to wear. There's not one listed here that I like more than the other, I'm just obsessed with them all. I need that sleek palette in my life! It's just so stunning!